There is a Skiroom with skiboot-warmers in the house. 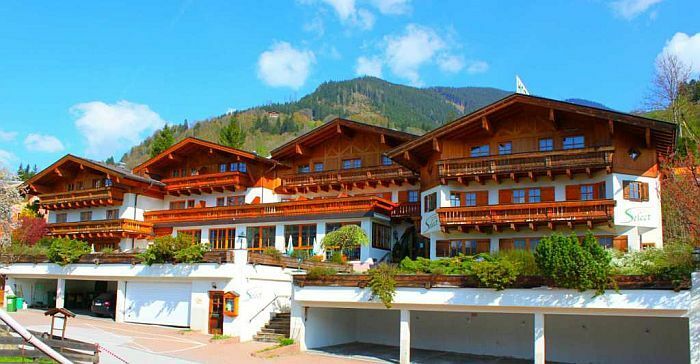 Piesendorf is a charming little Austrian village situated on the sunny side of the valley between two of Austria������s finest ski resort, Zell am See and Kaprun. The view over the Hohe Tauern Mountainrange is absolutely magnificent and stretches as far as the eye can see to the East and to the West! The village centre of Piesendorf offers a bakery, supermarket, butchers, post office, café, restaurants, banks and a tourist information office. A wider selection of shops, boutiques, restaurants, bars and clubs can be found in the neighbouring centres of Kaprun (5 km) or Zell am See (8 km) - which you reach within 5 minutes by car.